Bad animals do unspeakable things. Refusing to be subjugated to our domesticated will and resisting cuteness, the animals on show here are more likely to bite the hand that feeds them. Flaunting their over-sexed bodies as they go, they cause a frisson of unease as watching them we are made to acknowledge the frightful ancestry of our own primordial existence. 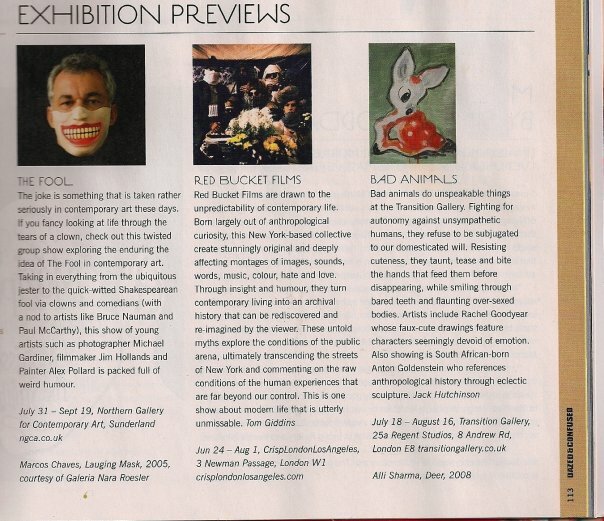 This group of artists examine the bad animals phenomenon in a variety of ways from Cathie Pilkington's promiscuous pranksters to Rachel Goodyear's faux cute drawings, Georgia Hayes' significantly endowed horse and Anton Goldenstein's strange sculptural anthropologic disruptions. These pets definitely don't win prizes.